A job search firm, Career Cast, lists the occupation of firefighting as one of the Most Dangerous Jobs of 2015. 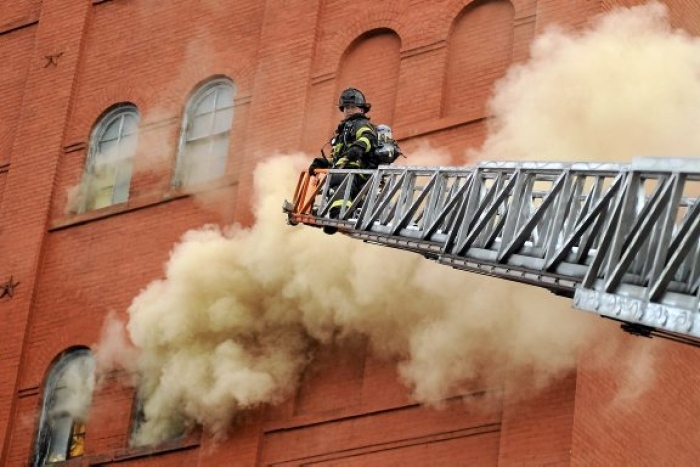 Beyond the obvious risks of smoke inhalation and burns, what makes firefighting so dangerous? A 2008 study showed that 61.7% of firefighters received on-the-job injuries of fractures, sprains, or muscle injuries. Other injuries included wounds, fire or heat burns, chemical burns, respiratory problems, skin exposure, and heart attacks or strokes. While those types of physical injuries will heal over time, firefighters breathe in smoke on nearly every call. Smoke is filled with dangerous carcinogens that settle into the firefighter’s lungs and other organs, quietly setting the stage for cancer to take root. The short answer to whether firefighters are at risk of cancer is YES. A 2006 meta-analysis of 32 studies on Cancer Risk Among Firefighters proved that firefighting poses a strong risk of many types of cancer. The most prevalent types of cancer are Multiple myeloma, Non-Hodgkin lymphoma, prostate cancer, and testicular cancer. 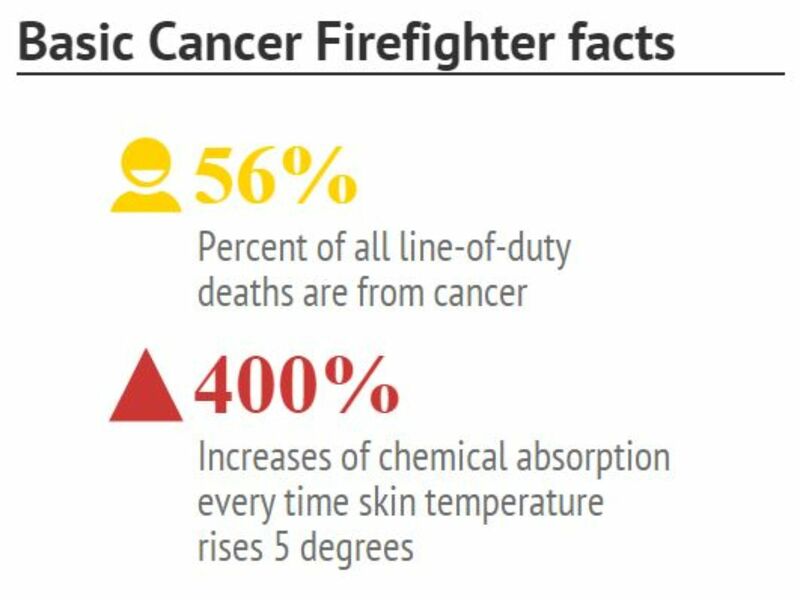 The National Institute for Occupational Safety and Health (NOSH) has done the most comprehensive research on firefighters and cancer. The findings show that the long-term health of firefighters is seriously at risk. Other studies show similar results. Firefighters in Nordic countries, aged 30-40, were studied in 2014 and found to have a greater chance of prostate and skin cancers. Another study looked at male firefighters in Massachusetts from 1987-2003 and found greater odds of firefighters developing brain and colon cancer. Susan Shaw, executive director of the Marine & Environmental Research Institute and professor of environmental health sciences at the State University of New York in Albany, says that the long someone works as a firefighter, the greater the chance that they will develop some type of cancer. Shaw wondered why deaths due to cancer among the firefighting population were lower in the 1950’s than they are today and why rates have been climbing since then. If you compare the types of materials that were used in manufacturing during the 1950’s, you’ll find that they were made of wood, cloth, metal, and glass. Today’s furnishings and clothing are made of synthetic materials including plastic and foam. Chemically produced, or synthetic fibers, are joined together to make different types of fibers. 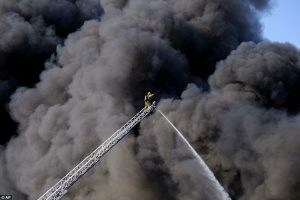 When synthetics burn, they create a toxic haze, and firefighters breathe in carcinogens at the site of every fire call. Timothy Rebbeck, professor at the Dana-Farber Cancer Institute and the Harvard School of Public Health offers up an answer. He explains that every substance changes its chemical structure when it burns. As manufacturers increase the numbers of synthetic goods, fires become more toxic. Fire experts state that synthetic materials produce hundreds of time more smoke than natural materials. They also state that flame retardants double the amount of smoke and increase toxic gasses at 10 times the rate of organic materials. When a home catches fire, the lovely new sofa and matching drapes create a cancerous fog for fireman who try to save your home. Most firefighters willingly wear personal protective equipment (PPE), but equipment doesn’t offer total protection against cancer. During a fire call, the firefighter’s skin absorbs toxic chemicals that leak through the protective gear. Over time, the chemicals create health risks soon after the fire and can surface as cancer later on. 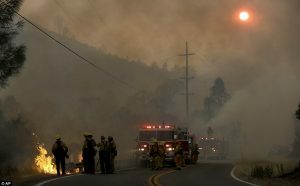 Even for firefighters who “suit up” tightly, toxic vapors seep in and around the helmet and face-piece, as well as helmet ear covers, hoods, and coat and glove wristlets. Washing gear after a call can help, but harmful carcinogens can remain, even after washing. The Firefighter Cancer Support Network and other advocates developed a helpful list with specific suggestions for using and caring for PPE, to decrease known exposures. 1. Wear SCBA through all stages of the fire, including overhaul. 2. Remove as much of the bulk contamination as possible while still at the fire scene by performing gross contamination. 3. Wipe soot from your head, neck, jaw, throat, underarms and hands using wet wipes immediately after the fire. 4. Change and wash station, work and other clothing right after returning to the station or leaving the fire-ground. 5. Shower after the fire. 6. Ensure that all gear is properly cleaned right after the fire. 7. Do not transport or take contaminated clothing home or store in a vehicle. 8. Keep all gear out of living and sleeping areas. The Firefighter Cancer Support Network also recommends that firefighters always wear gear properly. This means wearing the hood, deploying the ear flaps, extending the collar fully, and securely fastening and overlapping all areas where gear joins together. Most firefighters understand the risks of their occupations, but it doesn’t make the pain of learning about a cancer diagnosis any less painful. A firefighter who receives a diagnosis of cancer experiences shock and grief. None of that is easy, especially when it means long periods of radiation, chemotherapy, and possibly surgery. The sadness and grief is compounded by learning that their cancer may have had a better prognosis if they’d gotten screened sooner. Knowing this has motivated some firefighters and their families to lobby for earlier cancer screenings. Grief over any cancer diagnosis is a painstaking process. 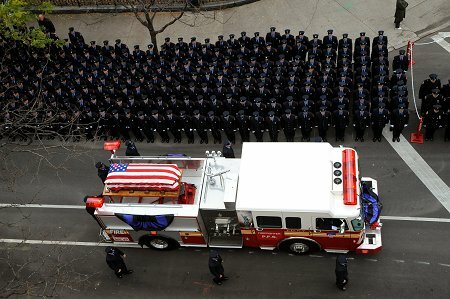 With the prevalence of cancer around the firehouse, firefighters grieve along with their peer firefighters, as one after another of then fight the cancer battle. Some of them will lose the battle. There will be families to console and funerals to attend. Over time, the high numbers of cancer victims and survivors take an emotional toll on even the toughest of firefighting stock of men and women. It helps to understand feelings surrounding cancer by learning the different phases that occur when there is any serious illness. There is the phase before the diagnosis, the acute phase, the chronic phase, and recovery or death. Because of the prevalence of cancer among firefighters, many of them will have anticipatory grief—a normal kind of mourning that occurs when death or a serious illness is looming. Anticipatory grief causes depression, sadness, extreme concern, and mentally and emotionally preparing for serious illness or death. Dealing with depression or strong emotional feelings when a firefighter goes on call is risky. Their thinking gets muddled and they are not as sharp or quick to react. Working in this state of mind creates an on-the-job safety hazard for the firefighter and peers, where thinking on their feet is the norm. As important as it is for firefighters to take precautions to take care of their protective gear after a fire call, it’s equally important for them to take care of their health. That means talking about their fears about cancer and other duty-related hazards that cause emotional stress and depression. Firefighters don’t have to deal with these feelings alone. Frontline Responder Services can help. • Licensed Clinical Social Workers (LCSWs): LCSWs have had supervised clinical experience and often have backgrounds in sociology or social work. They may work as individual psychotherapists or in community and group settings. • Licensed Addiction Counselors (LACs): LACs are not typically referred to as therapists, but they may practice alongside therapists. A LAC will have, at minimum, a bachelor’s degree and one year of training in addiction counseling. • Licensed Marriage and Family Therapists (LMFTs): LMFTs focus primarily on marriage and family therapy. A LMFT will have a master’s degree and typically must complete an internship before practicing. The studies are clear. 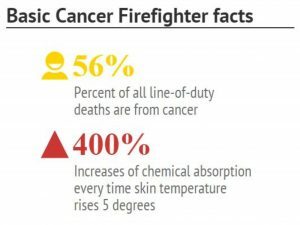 All firefighters are at risk of getting cancer, in one form or another. Getting therapy for dealing with the cancer is just like putting on protective gear before racing to a call. It helps firefighters to know that the feelings they have are normal and have predictable phases and stages. Getting the right therapy in the right time is like making sure every exposed part of the body is covered.